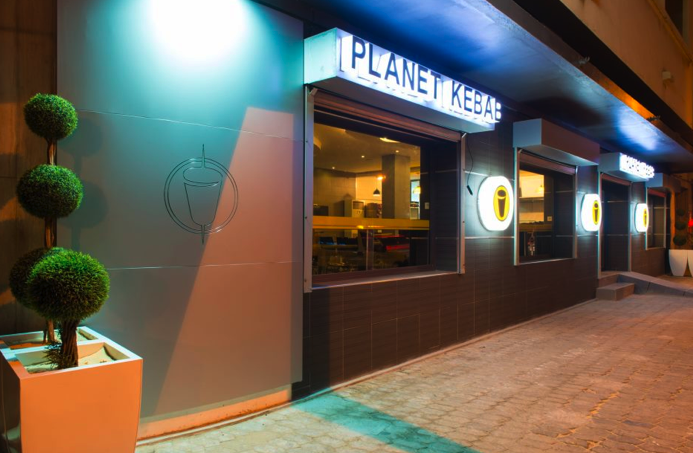 Planet Kebab – a great find in Plâteau! Today’s post was a great thing to receive in my inbox from Amanda. Thanks for the information, write-up and photos! 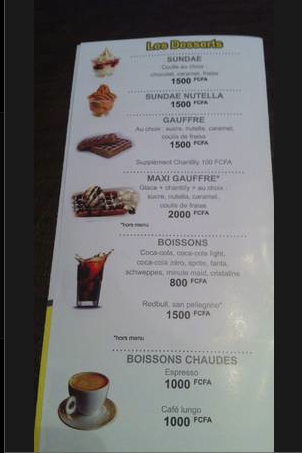 A friend and I were roaming around in Plâteau last night and came across a really nice, possibly new, restaurant. It was like a little slice of America with the clean décor, fast service and simple menu. 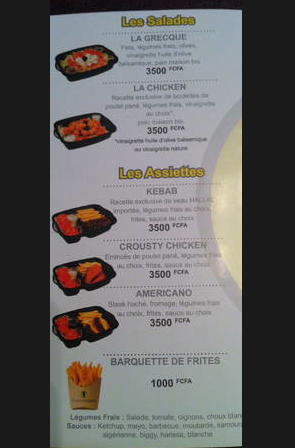 Planet Kebab is at the intersection of Lamine Gueye and Rue Carnot, and you can’t miss the black and yellow signage. They have a great menu of sandwiches/wraps, salads and burgers. 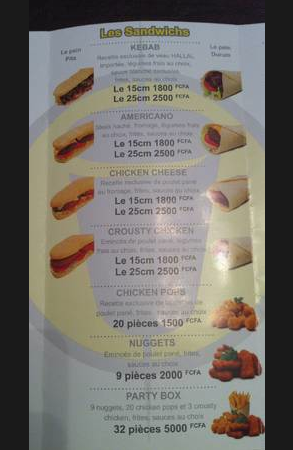 There are small and large options to the sandwiches, which would make it a great lunch option. 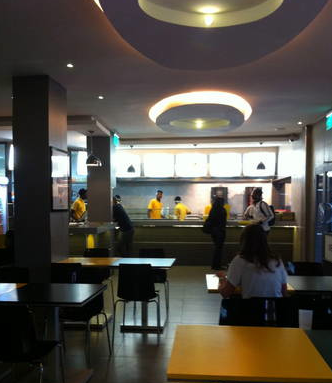 The service was very fast and a number of the employees spoke English. My friend had the large Americano sandwich, which was basically 4 small hamburger patties on really good bread (panini-like minus the grilling). I had the small Chicken Cheese which was 2 breaded chicken patties with emmental. 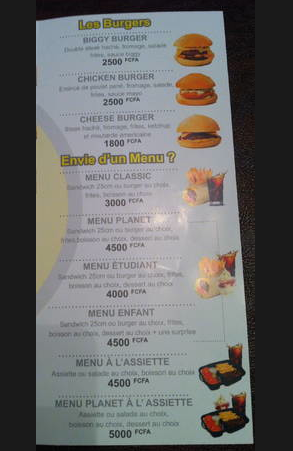 Both of us had fries and a drink and the grand total for our dinner was 5,600cfa. Can’t beat that!! This place is in such a neat little neighborhood, too. As we were walking to the restaurant, we found a number of super nice clothing boutiques, shoe stores, and a nice looking baby store. This would be an interesting area to explore a bit more. 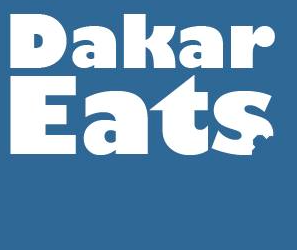 Just wanted to share this with Dakar Eats. We will definitely be back soon! Directions: Head towards the Palace on Rue de Republique. Make a left at Chez Mon Ami, and the restaurant is down a couple of blocks on your left. There was reserved parking in front for customers. Ngalax Toubab! With help from #veroniquespeanuts and @kayoongcommunity, we made peanut butter cookies to give on Good Friday. Patty melt with @beershebaproject beef, #shadyshack whole wheat bread, condiments from @american_food_store and served with homemade baked beans, potato salad and zucchini. There’s more! NEW Canadian bacon from @beershebaproject!